or across the globe for free! Free for HólaMovil subscribers ! Mobile Banking Like Never Before ! It’s our mission to reinvent how money is used and transferred. We provide you all the tools you need to more conveniently, economically and efficiently manage your money, your Hóla mWallet account, your Hóla Prepaid Debit MasterCard® account, and your Hóla Companion Prepaid MasterCard® account, have been created separately with their own separate balances for more versatility and ease of use. was created as a checking account. 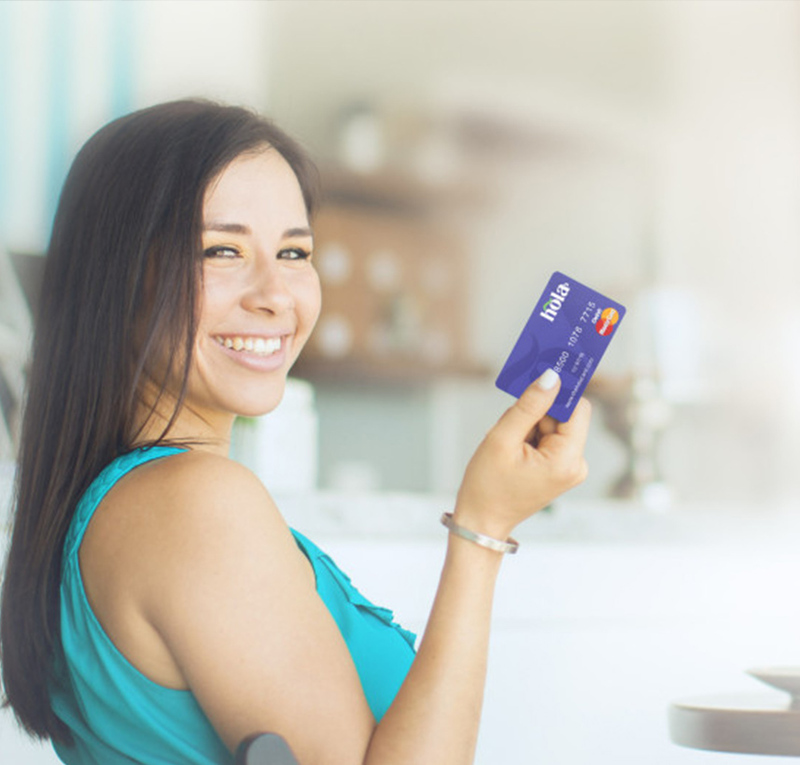 The full service, low cost or free* Hóla Prepaid Debit MasterCard® allows customers to increase the ways in which their money can be used. 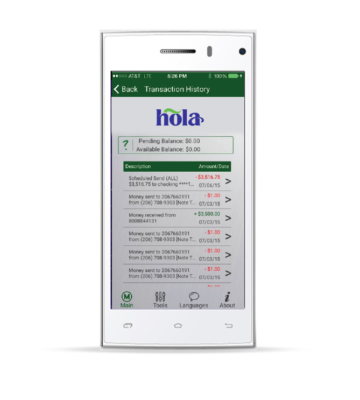 Funds can be loaded via direct deposit, transfers from the Hóla Movil mWallet, or via direct cash loads at thousands of locations across the country. 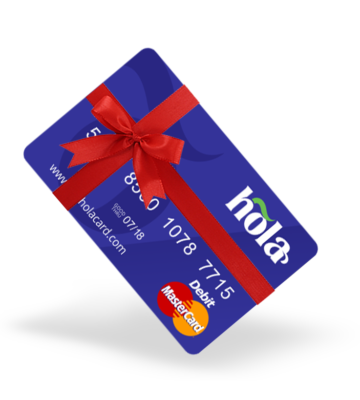 Your Hóla Prepaid Debit MasterCard® can be used worldwide anywhere MasterCard® is accepted for free! Funds can easily be received via ATMs at over a million locations across the world. All funds are FDIC insured. Our users can transfer money to other Hóla Móvil mWallet users for free! Move money in real time from their mWallet account to their Hóla Móvil Debit MasterCard®, or to their Hóla Móvil Companion Debit MasterCard® all for free! The Hóla Móvil mWallet is an add-on product suite that allows mWallet technology users to securely control their mWallet account from the convenience of their smartphone. free* for Hóla Móvil subscribers. Customers are welcome to mail that card to their loved ones anywhere in the world. Owners of the primary account can then move money from their Hóla mWallet account to their companion card immediately at no cost.A Hóla Companion Prepaid Debit MasterCard® can be used worldwide, anywhere MasterCard® is accepted, and take out funds at virtually any ATM.  This money movement technology costs a fraction of the amount that other money movement service charge.  All accounts have their own DDA account number and routing number. All funds are FDIC insured. Great deals and savings for our Hóla subscribers and Hóla card holders. * The USA PATRIOT Act is a Federal law that requires all financial institutions to obtain, verify, and record information that identifies each person who opens an account. You will be asked to provide your names, address, date of birth and other information that will allow us to identify you. You may also be asked to provide documentation as proof of identification. Guaranteed Approval is contingent upon successfully passing this mandatory identification confirmation. 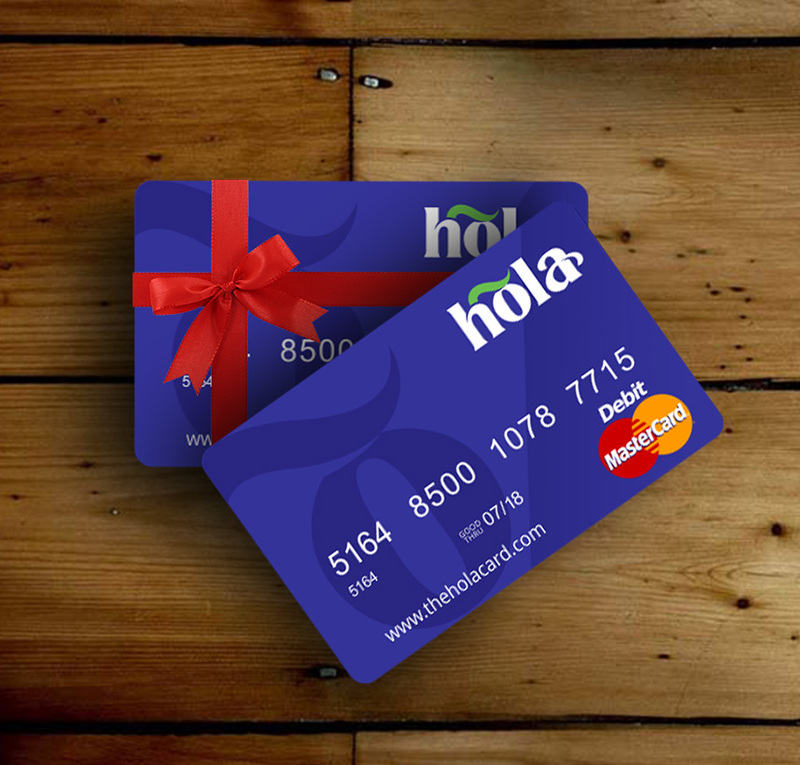 The Hola Prepaid MasterCard is issued by Metropolitan Commercial Bank, member FDIC, pursuant to license by MasterCard International Incorporated. MasterCard and the MasterCard brand mark are registered trademarks of MasterCard International Incorporated. Metropolitan Commercial Bank, Member FDIC. "Metropolitan Commercial Bank" and "Metropolitan" are registered trademarks of Metropolitan Commercial Bank. © 2014. Customers are required to provide their Name, Address, SS# or TIN, and date of birth to receive a prepaid debit card. 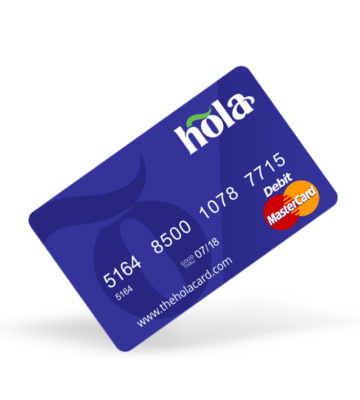 Use of your Hola Movil Card is subject the terms and conditions of the applicable Cardholder Agreement and indicated Fee Schedule.